Free stuff is good, and free knowledge is even better! Organisations cannot afford to ignore change. New technology and services, an evolving regulatory environment, new ways of communicating and working together, and the changing expectations of both clients and employees all require us to think and act differently. Over the past few years the 70:20:10 model has generated a great deal of interest. Many organisations are experimenting with 70:20:10 or starting to use it to help them build more effective solutions. 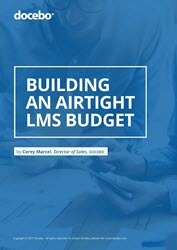 Leadership in the learning and development (L&D) space is about more than just great content – it’s about delivering excellent training that engages, informs, and challenges learners. Learning in the workplace not only increases organisational performance and productivity, but it increases engagement and retention, too. Evidence suggests workplace learning is even more important than formal learning for creating value for our organisations. The eLearning industry is never static. 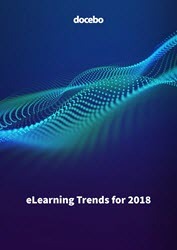 Just as technology continues to evolve, reinvent itself, and thrive (or die) in all technology-reliant industries, the same is true in eLearning specifically, and learning and development (L&D), broadly. 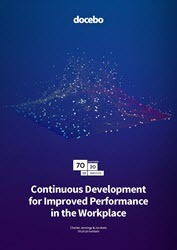 A workplace in which learning is a valued way of life, knowledge is readily shared, and performance steadily improves—at both the individual and organisational levels—is the vision that drives companies to establish and expand cultures of learning. Organisations are more competitive, agile, and engaged when knowledge is constantly and freely shared. 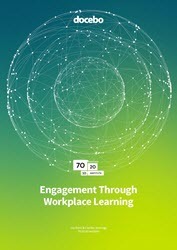 70:20:10 is an enterprise framework that focuses on business performance and the contexts for learning. 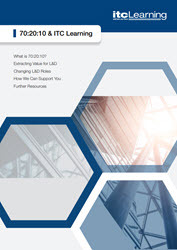 It suggests mechanisms for enterprises to use in their learning strategies, focusing on L&D as a value creator. 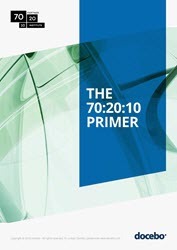 If you are interested in the principles of the 70:20:10 framework then this Whitepaper is for you!